After the KBF Open ended, we all gathered for the KBF Invitational captain's meeting at Blacks. I was on the fence about entering, but after hearing all of the awesome big fish stories from VIP Adventures I figured that if nothing else it would be fun to chase monsters for a day or two. I was also a little disappointed with my finish in the Open and was hoping to redeem myself. So I was one of the 60 anglers up early Saturday morning, winding through the backroads of South Carolina like a string of red ants. I randomly drew "Group 6" and would fish with 30 other anglers who did the same. Among them were 2nd place Open finisher and SC guide Justin Carter, Hobie World Champ Marty Mood, TKAA Champ and 3rd place Open finisher Ray Montes, KBF Open winner and KBF Challenge Series Champ Andy Thompson Sr., Big fish magnet Andy Thompson Jr., RiverBassin Champ Tim Perkins and a bunch of other really talented anglers. Oddly enough, I think only one of the names above made the day-2 cut, but I am getting ahead of myself. Group 6 started on the larger of the two lakes, while Group 5 started on the smaller of the two. We all launched and waited to do a shotgun start. Of course, the pedal boats took off - leaving a wake behind them. I managed to tuck in behind Donny Miley and draft his boat down the lake. Within a few minutes I was at the far end of the impoundment. I don't think any of us realized just how small these lakes were, but it was close quarters fishing. Immediately I realized there were some awesome points on the lake. The problem is that they were overgrown with green pond scum and almost impossible to fish. My plan was to try and hook two good fish shallow early and then fish the deeper areas of the lake when the sun got up and wind started blowing. On cast number three I got a bite, set the hook Santee Cooper style and ripped a 9" bass out of the water about two feet. I reeled him in, unhooked him and didn't even bother measuring him before throwing him back. I weaved in and out of different arms of the lake and managed bass measuring 14", 12.5", 13", 14.75" and 12" fishing shallow. At that point, I knew I had to start doing something else. So I started throwing a 3/4 oz Strike King Red Eye Shad over deep humps and oyster bars. It seemed like a perfect plan, but I just couldn't get bit. Eventually, the guys around me were catching them with the same type of technique and I knew something was wrong with my approach. I downsized to the 1/2 oz version of the Red Eye Shad and on my second cast hooked a 14.75" fish. But it was too little, too late our time on the first lake was nearly up. I managed one more bass - my biggest of the day at 15" - and about a 9" crappie. It was 10:45 AM and time to switch lakes. I knew, as did others, that we left them biting in the first lake. We also knew that the wind was forecasted to keep blowing hard, which should have kept the lake biting most of the afternoon. But, we were also excited to see what the other lake had in store. We packed up our gear and meandered over to the other lake. When we arrived we saw two 5.5-6 lb fish being carried from the water for the "live big bass weigh-in". I knew I had my work cut out for me if I wanted to make the cut. In order to avoid the 4 hours of monotony that I endured that afternoon, I will keep this short. The second lake was brutal. It was way too small for 30 boats and had been ravaged with baits all morning by the other group. I ended up catching probably 10 bass in the 11"-12.5" range and that was it. I didn't get a single good bite over there....and I certainly was not alone. It turns out that both of the lakes were loaded with 11"-13" fish and had few over 16"-17". I headed back to the launch and loaded everything in the car. I tried to help as many folks as possible get their boats back to their cars as well and found out that my two fish weren't as bad as I had once thought. Still, I knew the cut was out of reach. Eventually the other group came back over to where we were and the folks at VIP Adventures put together a low country boil, of sorts, for us. There were a lot of frustrated anglers and a bunch of rumors swirling. They announced the first cut at 30" and 21 anglers had at least that much. I missed the 30" mark by just .25". The top-15 cut eventually landed somewhere around 32.5", so I wasn't really that close, but 22nd (roughly) out of 60 of the best anglers in the country is nothing to sneeze at. And as I mentioned above, most of the heavy hitters who did well at the Open struggled in the Invitational. I gathered up a spare spinning rod, fish finder battery and YakAttack Park 'N Pole that I had loaned to different folks over the course of the day. It was time to hit the road. 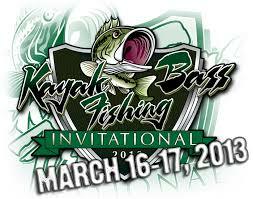 I have no idea how day 2 went, but the results will be released this week over at KBF. I do hope someone from "Group 6" won it, so good luck guys and gals! Since the tournament ended, I have talked to a few folks about their day 1 experience. Most felt like I did - frustrated and a little let down. Others were a little more harsh, especially since it was leaked that a few competitors had some very good inside info on the private lakes that the rest of us were not privy to and that helped them A LOT on day 1. But this industry is growing at a rapid pace and with that growth comes a cutthroat aspect that is unfortunately sad. Admittedly, it left a bad taste in my mouth and soured me a little bit on tournament fishing - especially in private bodies of water. But it was still a lot of fun and I met so many awesome people. I know they are working on an entirely new format for the Invitational next year, which I think could be really great. Keep an eye on KBF for more details on that and kudos to Chad for listening to feedback and coming up with the new ideas. Now it is time to go fun fishing! Tight lines! Great job over the whole of two tourneys Drew. I wonder if they could have gone not done cuts for the Invitational and just had the first day as a practice day and day two as the tourney. That would at least have given guys without insider knowledge a chance to learn the lakes on their own. Contrats on making it that far I know a lot of time, energy and money had to go into an effort like that. I too would've been frustrated by the format. Why invite people from all over the country only to have them fish different lakes? That doesn't make sense or sound very fair. Thanks guys. It is one of those "live and learn" situations. The format is supposed to be different next year based on the feedback from this year, so I expect a big improvement. In almost any tournament, someone will have inside info that others don't have. On public lakes, that is one thing because anyone can go out and practice there in advance. On private lakes, it is typically going to screw someone and it definitely did in this case. Yeah I think half the field ended up between 28" and 29.75" - but that's the way it goes sometimes. It was good meeting you Andy and best of luck out there on the water! Congrats drew, hope you make it up to our tourney this spring. I've never heard of a 2 day tournament resetting everyone back to 0 after the first day. Jeff - I am definitely going to try. I have the Get:Outdoors tournament the weekend after yours, so we'll see how it stacks up. It was nice meeting you. As far as inside info I had none. I came in 10th the first day of the invitational and 3rd the second losing a fish that would have probably put me in 1st. First fish I have ever had snap 55 braid. The first day was tough. I pulled in a 14 and 15 on the first lake and kept going. With 15 minutes left I headed back and took one more cast and got a 17.5. Second lake didn't even see a fish. Those lakes are only 5-7 years old. The lakes on day 2 have been stocked for 30 years. Second day, first lake 2 fish on top water but 14 inchers. Second lake a 19.5 and a 21. The 3rd lake didn't get a bite for an hour. Put on a chatter bait and lost the big one. Found another chatter bait and started hitting the brush piles. I either got a hit or caught a fish on ever pile. I ended up getting about 10 on the last lake which was a blast but only one was an upgrade. I'm counting the days until next year. Likewise, Troy. Yeah the info was limited to a couple folks, but it is what it is...or was what it was. In hindsight I wish I had done a few things differently on the water, but I think the problem was the hype of the event did not live up to the billing on day 1. It sounds like that will be remedied next year. Congrats on your finish! Tight lines!